The Americans with Disabilities Act (ADA) was signed into law 25 years ago, on July 26, 1990. Besides the gratification of promoting equal opportunity, the ADA and other laws offer tangible benefits to employers who hire workers with disabilities. Title I of the ADA aims to help people with disabilities access the same employment opportunities and benefits available to others. Employers with 15 or more employees cannot discriminate and must comply with the ADA by making reasonable accommodations. “Reasonable accommodations” are changes that accommodate employees with disabilities without causing the employer “undue hardship” (too much difficulty or expense). Businesses that hire and accommodate people with disabilities may qualify for tax credits and deductions, discussed below. The Disabled Access Tax Credit provides small businesses a tax credit each and every year for expenses to provide access to persons with disabilities and become compliant with the ADA. Tax credits provide a dollar-for dollar reduction of income tax liability, meaning that a $5,000 tax credit saves $5,000 in taxes. Eligible small businesses are those that earned $1 million or less or had no more than 30 full time employees in the previous year. They may take a tax credit for 50 percent of “eligible access expenditures” that exceed $250 but do not exceed $10,250 for a taxable year. This Disabled Access Credit adds up to potential tax savings of $5,000 per year for each and every year that the business incurs access expenditures. Businesses claim the tax credit by filing IRS Form 8826 with their federal tax return. The Internal Revenue Code limits the types of expenditures for which a business may take these credits. 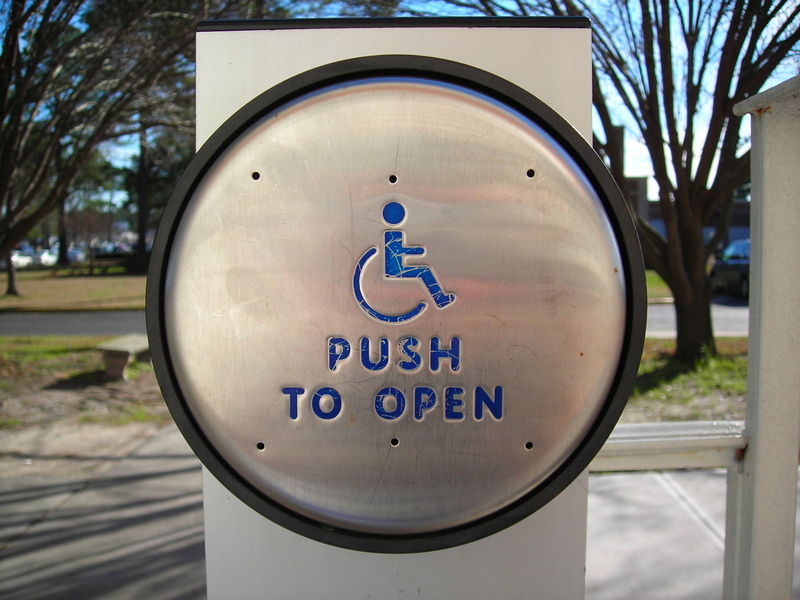 The Disabled Access Credit is allowed only for qualified expenditures made for the purpose of complying with the ADA. So Tax Court decisions have denied the credit for purchases that were ADA-compliant but not necessary either to bring the taxpayer into ADA compliance. It also applies only to businesses that are required to comply with the ADA, such as places of public accommodation or employers with 15 or more employees. The Disabled Access Credit cannot be taken for expenses of new construction. And, the barrier removals, services, modifications, materials or equipment must meet technical standards of any applicable ADA Accessibility Guidelines. So, a small business that buys equipment for $10,000 to make a reasonable accommodation under the ADA could take a tax credit of $4,875 on its next tax return: $10,000 exceeds $250 by $9,750; fifty percent of $9,750 is $4,875. A business that makes accommodations at an expense of $10,250 (or more) could take the maximum tax credit of $5,000: $10,250 exceeds $250 by $10,000; fifty percent of $10,000 is $5,000. Certain types of expenditures over $10,250 may also qualify for an Architectural Barrier Removal Tax Deduction. The Architectural Barrier Removal Tax Deduction encourages businesses of any size to remove architectural and transportation barriers to the mobility of persons with disabilities and the elderly. Businesses may claim a deduction of up to $15,000 a year for qualified expenses for “qualified architectural and transportation barrier removal expenses,” items that normally must be capitalized. This includes expenses to make a business facility or its public transportation vehicle more accessible to, and usable by, individuals who are handicapped or elderly. The definition of a “handicapped individual” is similar to the ADA definition of an “individual with a disability.” To qualify for the deduction, the modifications must meet certain standards established by IRS regulations. Businesses may use the Disabled Access Credit and the architectural/transportation tax deduction together in the same tax year, if the expenses meet the requirements of both sections. The Architectural Barrier Removal Tax Deduction would be the difference between the total qualifying expenditures and the amount of the Disabled Access Credit claimed. Businesses claim the deduction by listing it as a separate business expense on their income tax return. Please contact Natalie Shrader at (219) 769-1313 with any questions concerning your employment or accessibility responsibilities under the ADA. This article is not intended to be used or relied upon as tax advice.